CREDO Capital > News & Events > Hurry to refine your comfort zone! 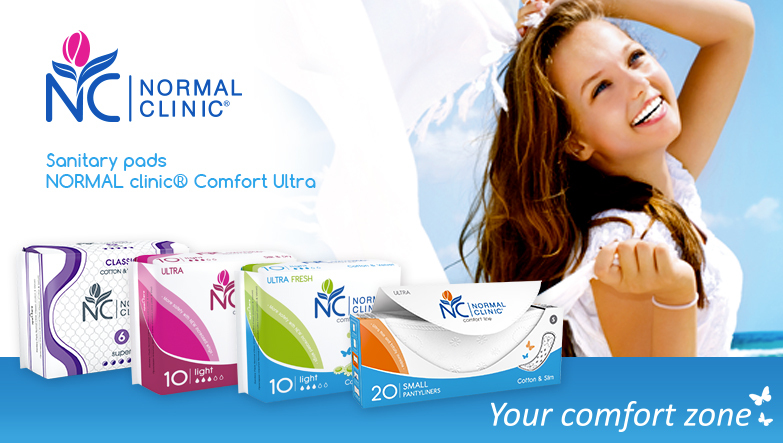 You will be convinced by sanitary pads NORMAL clinic® Comfort Ultra and NORMAL clinic® Classic in the simplicity and functional comfort they provide you with. Try them and you will feel how NORMAL clinic® sanitary pads can take care of you and understand the needs of your body.